Even when business is going well, many leaders struggle to justify the expense of staff training. But during the tough times, when cash is especially strapped, spending that money on something intangible like workplace behavioral training can be an even tougher sell. When leaders are hesitant to spend on training due to budget concerns, it’s usually because they’ve bought into one of two misconceptions. The first misconception is that staff training must be expensive. Training programs are not one-size-fits-all, and there are streamlined, tailored types of quality training that can be very effective. But the second, more pervasive misconception is that workplace training does not contribute directly to a business’ bottom line. What is seen by some as a “nice to have,” or even a “necessary evil,” can actually do more to help your business reach its financial goals than many of your organization’s other expenses. 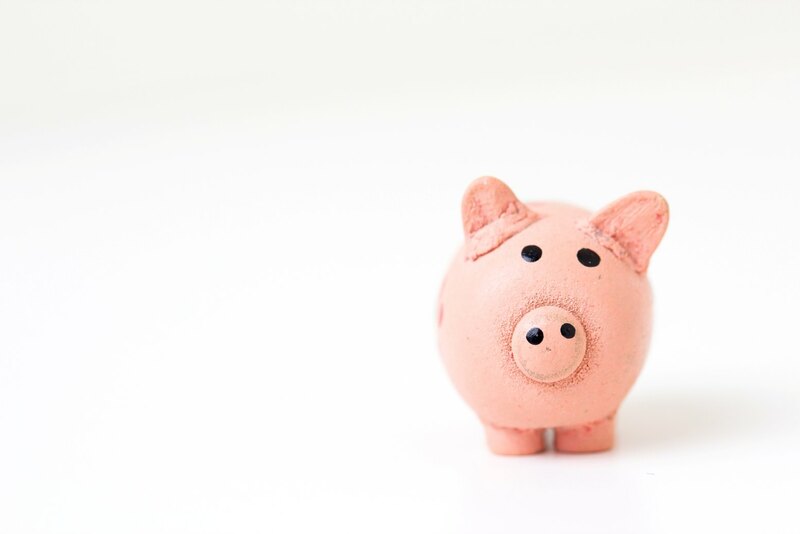 Here’s how to reframe your approach to allocating funds for staff training, followed by some ideas about how to make that training as affordable as possible. If you’re familiar with ELI training at all, you know that our program is based on the belief that creating a welcoming, respectful workplace culture is good for business. We are always educating people that a reactive approach to bad behavior, including approaching behavioral training with the sole purpose of lawsuit avoidance, is not likely to result in any real change at your organization. And since affordability is a concern, we must mention that lawsuits are one of the biggest and scariest unexpected expenses businesses face. So when business leaders think that they can’t afford staff training, it’s worth asking them if they can “afford” the lawsuits that might result if that training never happens. Even if your organization has thousands of dollars to spend on training, that’s still a pittance when compared with the millions of dollars companies have been ordered to pay as a result of discrimination and harassment lawsuits. It helps to start with some perspective on this disparity. Of course, the value of behavioral training is much greater than the money saved by avoiding theoretical lawsuit costs. Teaching employees how to avoid the behaviors that isolate and hurt their colleagues isn’t just a feel-good exercise done out of a sense of moral obligation. Civil and inclusive workplaces have plenty of competitive advantages as businesses. A civil workplace reduces employee turnover. People are happier when they’re working in a civil environment and are less likely to want to leave the company. Hiring and training a new employee is expensive, and the costs associated with high turnover are well-documented. Welcoming workplaces make the best hires. A welcoming, civil workplace makes your organization more attractive to job candidates, and making an effort to ferret out unconscious bias in the hiring process will give you bigger, better pool of candidates to choose from. Boosts teamwork and productivity. Diverse teams work better together. Studies have shown that diverse teams are more creative with ideas and problem solving. Considering those advantages, it might not be a surprise that Bersin by Deloitte’s High-Impact Diversity and Inclusion Report found that organizations with inclusive cultures are twice as likely to meet or exceed financial targets when compared to their non-diverse counterparts. Most business leaders wouldn’t think twice about shelling out for a new program or tool that had been demonstrated to get those kinds of results. That’s exactly how they should look at staff training: in terms of the value it can bring, not just the upfront cost required. For more on the costs of skipping staff training, download our bonus resource: By the Numbers: The Costs of an Unwelcoming Work Environment. For any business leader to see staff training as “affordable,” they first have to believe that it will be effective. The effectiveness of any program depends on a host of factors. One of those factors is personal buy-in from management, which no training program can ensure. We believe that for training to have the best odds of success, it must train employees using real life, interactive scenarios and equip them with actionable takeaways (not just awareness of a problem). This approach requires the involvement of a live expert who can interact with employees and give feedback in real-time in an environment where it’s safe to say the wrong thing. This type of training may cost more, but it’s also more likely to result in the lucrative business benefits and lawsuit avoidance that the training aims to achieve. All that said, we understand that sometimes the cash is just not available for a live, interactive training experience led by an expert instructor. No one would expect you to decide between paying for staff training and making payroll, for example. Thankfully, there are plenty of training programs that will work for limited budgets. To get a clearer grasp on the actual costs of skipping training, download our bonus resource: By the Numbers: The Costs of an Unwelcoming Work Environment. If your organization already has a dedicated human resources professional on staff, you could consider getting them some additional quality certifications that enable them to educate the rest of your company. This route can be more affordable because it’s a one-time cost that will last as long as your trainer stays with your organization. Having someone on your own staff implement training also gives you a lot more flexibility in how you roll it out, which may also save on costs. Make sure you choose a program that will keep your trainer updated with the latest developments in the workplace world. ELI’s Train-the-Trainer program is a 3-day intensive training experience that gives members access to ongoing learning and networking opportunities, updates on legal and current trends updates, and other exclusive incentives. Live, instructor-led training is ideal. But you can still get the perks of a live instructor without having to pay for them to physically be at your facility with a remote training option. For example, ELI’s Virtual Instructor-Led Training (VILT) is totally online. We use live webcasting production technology, a robust video conferencing platform, and creative polling to make the experience as interactive as possible when participants are participating through their computer. Again, not all video instruction courses are created equal. However, a quality online video-based learning program puts your organization miles ahead of the alternative of doing nothing at all. That’s why ELI also offers an online eLearning program. It can be used as stand-alone training or in conjunction with instructor-led training. The videos are available in Internet (hosted on ELI’s Learning Management System), Intranet, and CD-ROM versions and are SCORM- and AICC-compatible. The videos can be hosted on our LMS or yours. 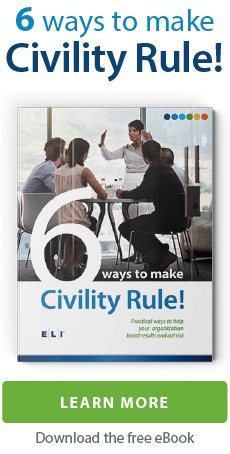 At ELI, we believe that a civil workplace isn’t a luxury. It’s a necessity. We understand that all companies have very different needs, goals and budgets. We do our best to work with each one to create a customized approach. To find out more about what it would cost, we hope you request a quote today. If you’re trying to justify the cost of staff training, these numbers help quantify its benefits.